John Mason International removals is celebrating this week, after receiving recognition for its marketing and communication expertise. 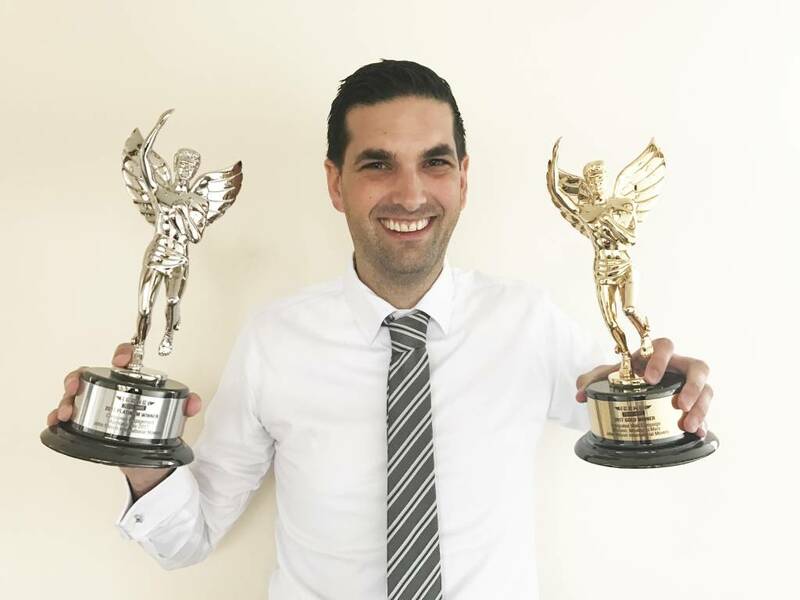 The leading international removals and shipping company, based in Liverpool, is known for its creative campaigns – and now its team boasts platinum and gold gongs in two categories of the Hermes Creative Awards. 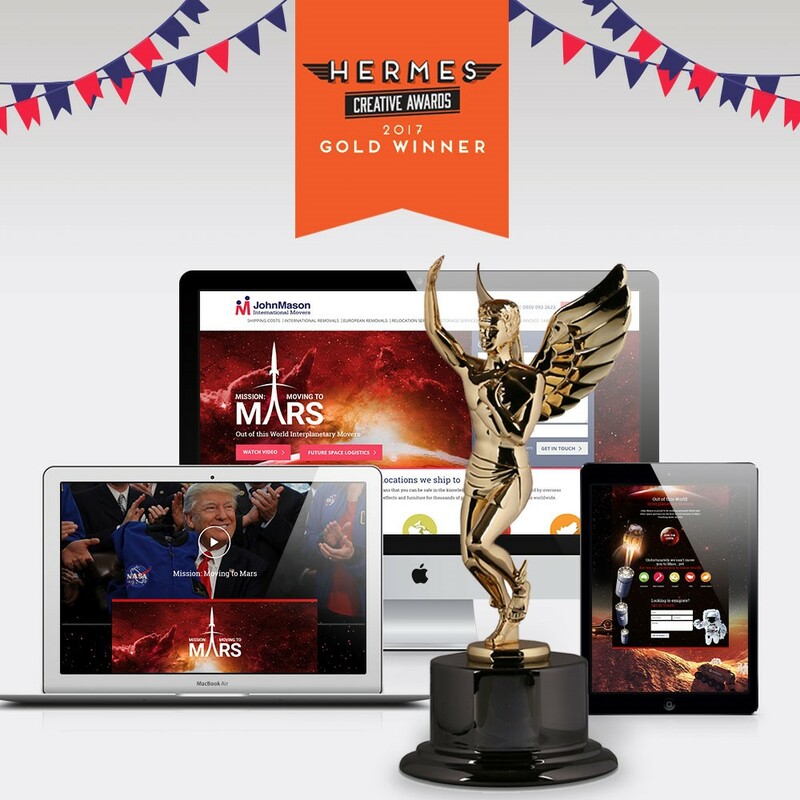 Designed to highlight excellence among creative professionals involved in the concept, writing and design of traditional and emerging media, the Hermes Creative Awards are administered by the Association of Marketing and Communication Professionals. “We are delighted to have received a Platinum award in the Consumer Engagement for our Australia Day 2017 ‘Where’s Mick?’ campaign and a Gold in the Integrated Web campaign category for Mission: Moving to Mars,” said Simon Hood, Sales and Marketing Director at John Mason International. 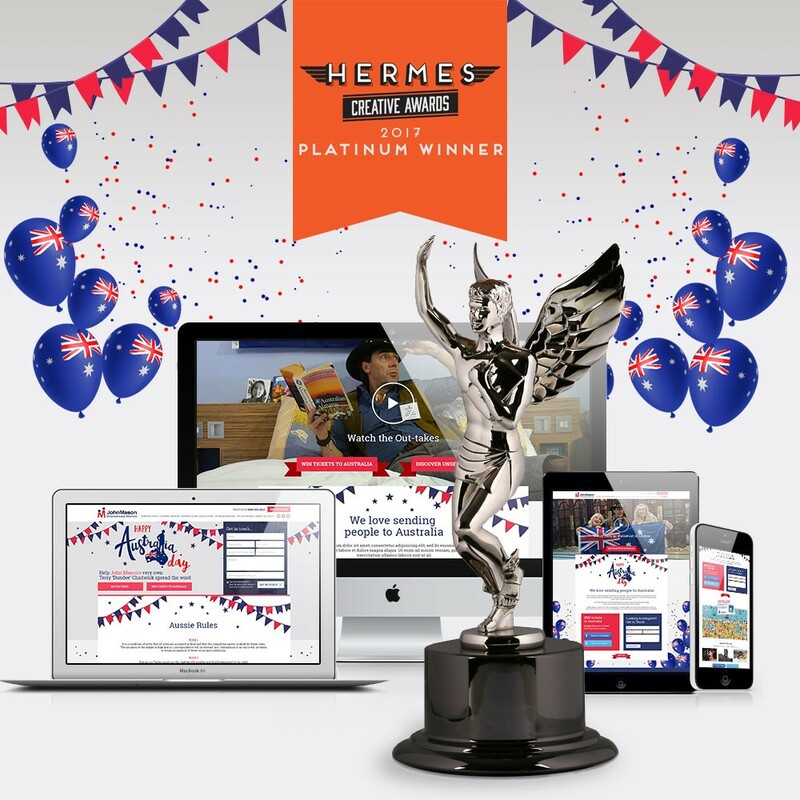 “There was also an ‘Honorable Mention’ award in the YouTube Video category for our Australia Day ‘Terry ‘Crocodile Dundee’ Chadwick Celebrates Straya Day In Style’ campaign. “Former winners of these prestigious awards include AON, Deloitte, Expedia, IBM, Pepsi, Saatchi & Saatchi and Time Warner, so we are in excellent company. With more than 6,000 entries from companies across the globe, judges selected our campaigns because our talented team exceeded a high standard of excellence – serving as a benchmark for the industry. “Both campaigns exceeded all expectations, and now we’re busy working on our next creative masterpiece. Watch this space…” added Simon. • ‘Where’s Mick?’ – This integrated campaign generated 20,000 views across social media within 24 hours of launch on Australia Day. In the first four days of the video campaign, there were 22,000 views on Facebook; 6,900 views on YouTube – where 80 percent of viewers watched more than 80 percent of the main video – and more than 2,500 impressions on Twitter. Facebook engagement was up 5,436 percent, likes were up 975 percent and views up 714 percent – while tweet impressions were up 420 percent. • ‘Mission Mars’ – A comprehensive social media sharing and promotion strategy complemented the content plan, promoting YouTube views and Facebook posts. The integrated campaign generated 9,000 views across multiple videos on social media and YouTube within 48 hours of the launch. During the video campaign, there were 27,400 views across three videos on Facebook, 9,464 views from three videos on YouTube – where the average percentage viewed was 92 percent – and more than 7,000 impressions on Twitter. Facebook engagement was up 3,197 percent, page likes were up 2,750 percent and video views up 684,575 percent over a seven day period.